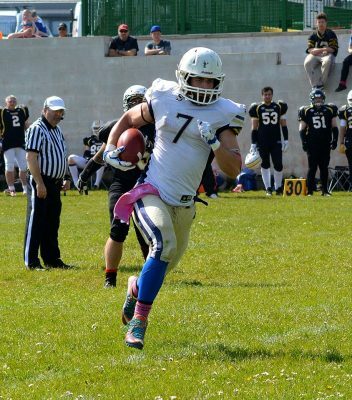 Following wins over the Cornish Sharks and the Bristol Apache, the Saints moved to 3-0 and top of the conference table with a convincing victory on the road over the Torbay Trojans. With a travelling squad of 60 players, the host team were outnumbered from the start and throughout the contest, the Saints were able to rotate players frequently to take advantage of the situation. 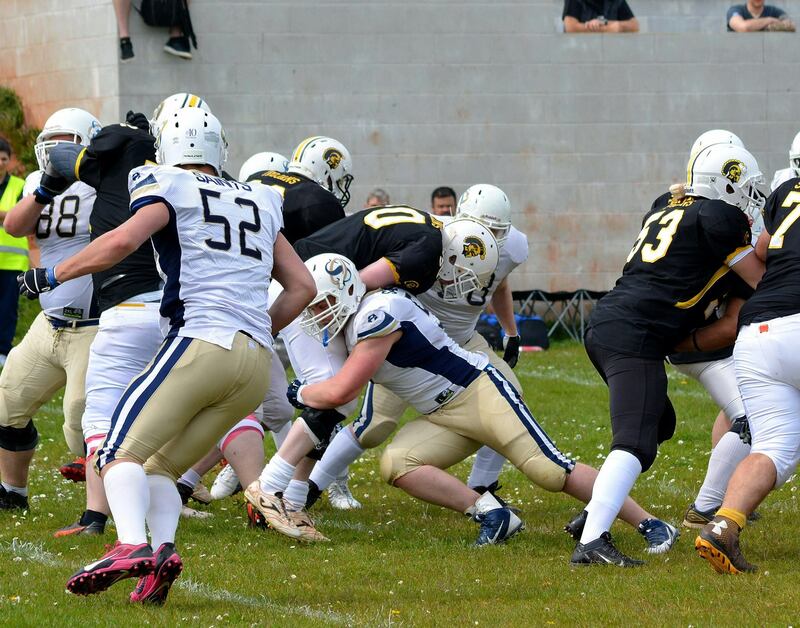 The opening few drives saw Oxford’s defensive unit dominate, making tackles behind the line of scrimmage and forcing Torbay to punt the ball away from poor field position. Oxford’s offense looked strong early on under the leadership of quarterback Destin Maulding, with running back #24 Rob Johnson moving the ball well on the ground. Running back #7 James Walter found a lane looking certain to score, driving a pile forward at the 1 yard line. The Saints however would have to wait for their first points, as the ball came loose and was recovered by the Trojans. 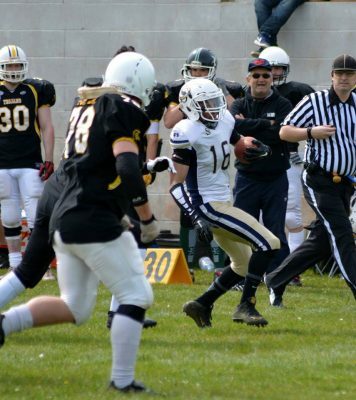 With Torbay pinned back against their own endzone, the Oxford defense applied pressure with linebacker #51 Sam Stancombe making the tackle behind the line to score a 2 point safety. 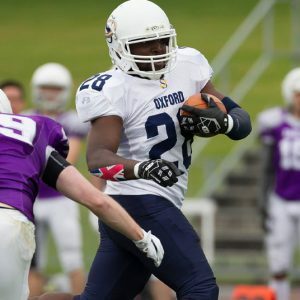 Following the defensive score, Oxford’s offense deployed the speed and agility of running back #20 Kev Brooks in the backfield and quickly marched their way into scoring distance. Rob Johnson punched it into the Torbay endzone from 6 yards out with rookie kicker Sam Fielden adding the extra point. 9-0 Saints. 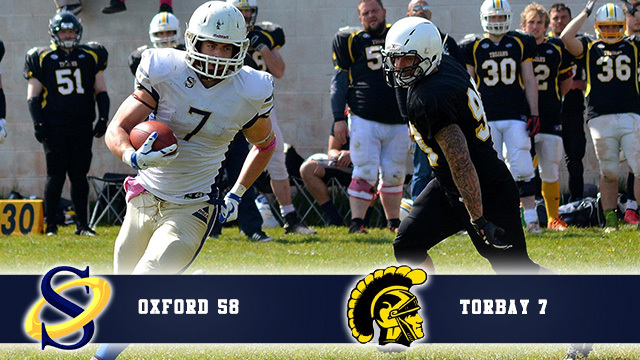 Torbay took over on their own 20 yard but were unable to crack the Oxford defense. 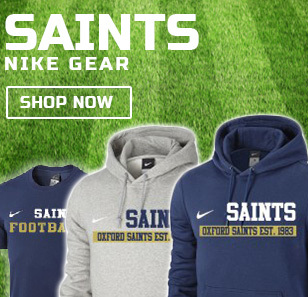 Quickly punting the ball away, the Saints offense were back on the field from Oxford’s 16 yard line. Oxford’s momentum continued as they returned to the power run, this time introducing running back #44 Toni Athanasiou who finished the drive with a 13 yard touchdown, on which Fielden’s extra point was good. 16-0 Saints. Oxford in control with 16 unanswered points at the start of the 2nd quarter. 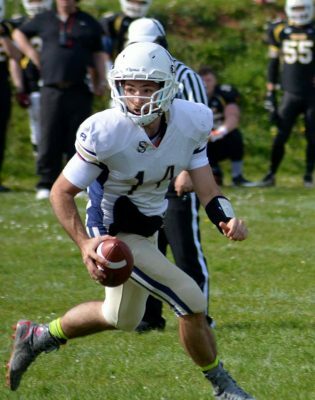 On their next drive, Torbay’s quarterback Harrison Yeates attempted a pass downfield but talented Oxford free safety Bilal Redd intercepted the ball and returned it back to the Torbay 19 yard line before being stopped. Destin Maulding handed the ball off to James Walter who outpaced the Trojan defense for 19 yard touchdown run. Another good extra point kick saw the Saints pull away to 23-0. After another impressive stand from the Saints defense, who were rotating in newer players for experience, the offense took to the field at their 20 yard line with James Walter now in full stride and looking dangerous. Maulding passed the ball to Walter who gained a quick 38 yards on the play against the Trojan defense. Walter finished off the drive with an 11 yard touchdown run. 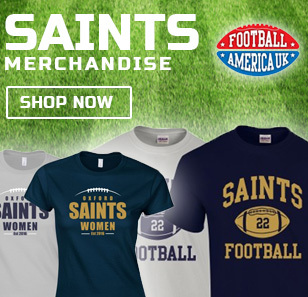 The extra point was good, 30-0 Saints. 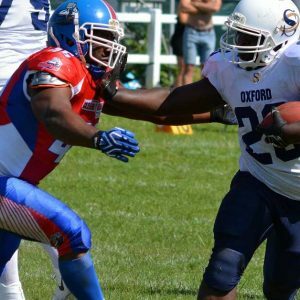 Still in the 2nd quarter, Oxford were on the march again with running from Walter and Athanasiou reacing Torbay’s 21 yard line. 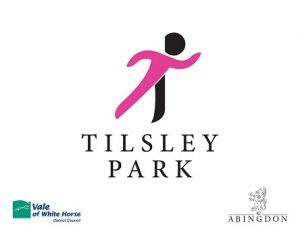 A strong run dive from full back #42 Luke Fry saw him dragging three Trojan players on his back to the 6 yard line before being brought down. Maulding then handed the ball to Walter who continued to out run the opposition and crossed into the endzone. Fielden’s kicking remained consistent, with Oxford moving to 37-0. 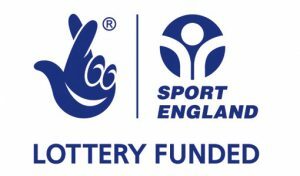 Torbay attempted a long field goal as they looked to get onto the scoreboard, but the 60 yard attempt from Tim Sandercombe went wide to the left. 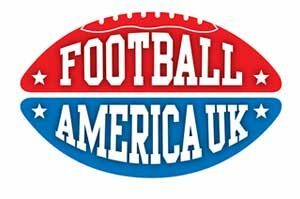 Due to the score difference, league rules required a running-clock which accelerated the remainder of the game and removed several clock stoppages, which in turn limited the amount of plays that were made. With Oxford receiving the ball to start the second half, the offense set to work and in the first drive Maulding connected with wide receiver #89 Tom Swift on a deep pass. Swift set the afterburners alight and raced away down the sideline before high-stepping out of a last ditch attempt to bring him down. 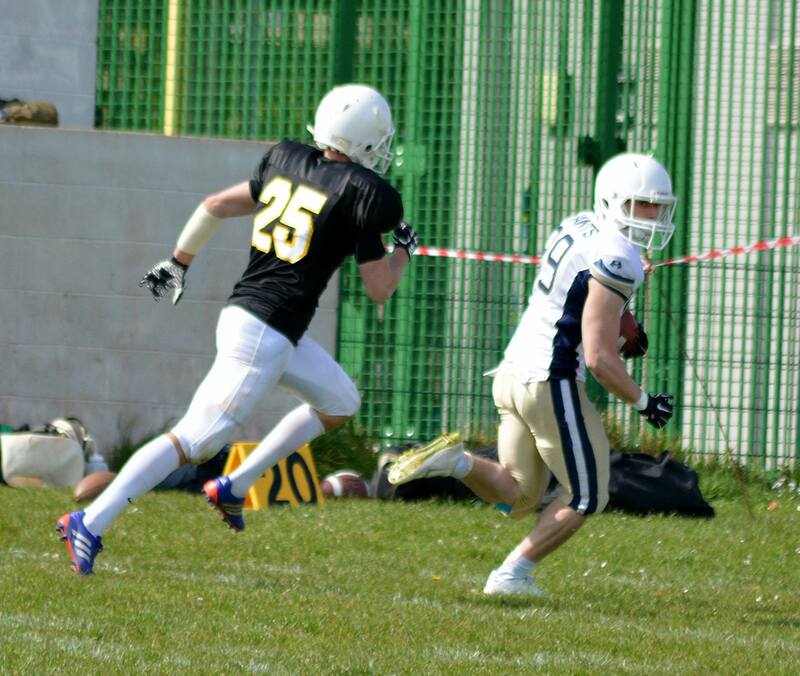 The 64 yard score marks the young receiver’s first touchdown for Oxford, playing his 2nd season of American Football. The extra point by Fielden was good, 44-0 Saints. In the 4th quarter the Saints offense was on Torbay’s 1 yard line and the ball was handed to offensive lineman #64 Tyson Blackstock, who was lined up to be handed the ball. 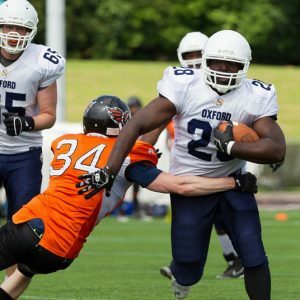 Blackstock used his power and size to push through, scoring a further touchdown for Oxford. Using the comfortable scoreline to further refine plays and personnel, the Saints attempted a 2 point conversion after the score and Maulding completed a short pass to Walter, extending the lead 52-0. The next Trojan drive was ended sharply with Bilal Redd claiming his 2nd interpcetion of day, this time finding room and returning the pass for 37 yards. Maulding took over once more and the Saints were soon on the Trojan 10 yard line. Maulding found tight end #83 Richard Bloomer uncovered in the endzone. Torbay’s defense managed to block Fielden’s extra point kick, who had otherwise been perfect, 58-0 Saints. The Torbay offense finally managed to find a spark and tore open a lane which yielded a 60 yard gain, setting up Harrison Yeats for a 10 yard touchdown pass in the back of the endzone to receiver Simon Jeffries. Kicker Tim Sandercombe added the extra point and closed out the game at 58-7 to Oxford. 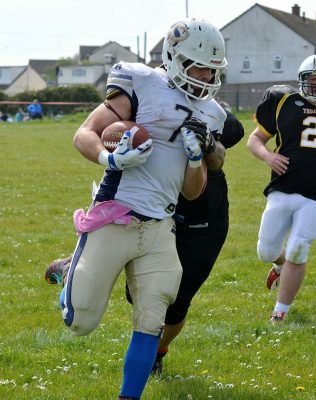 On offense, James Walter led the day with another strong performance gaining 94 yards and 3 touchdowns on 8 carries. He also made 3 receptions for 57 yards. Following Walter, Rob Johnson gained 90 yards and a touchdown on 9 carries with Kev Brooks gaining 74 yards on 6 carries. Receiver Tom Swift caught 3 passes for 73 yards, including a 64 yard touchdown marking his first score with the Saints. Quarterback Destin Maulding attempted 13 passes and completed 7 for 140 yards and 2 touchdowns, with 1 interception. On defense, heavy player rotation saw a wide distribution of tackles throughout the day with defensive back Mike Turner and linebacker Eric Mendoza leading the way with 5 and 4 tackles respectively. Free safety Bilal Redd had another strong performance with 2 interceptions for 39 yards. Linebacker Sam Stancombe claimed a safety early in the game, giving the Saints their first points. A solid, professional performance from Saints controlled the game from the first quarter for Oxford, with big contributions from all around the team. Defensive MVP was awarded to Bilal Redd for his two interceptions and Offensive MVP to Luke Fry for powerful running, even when losing a boot from his foot. The entire team were awarded Team MVP for maintaining focus throughout the game. Oxford now claim the top spot in the Southern Football Conference II West, with an undefeated 3-0 record. 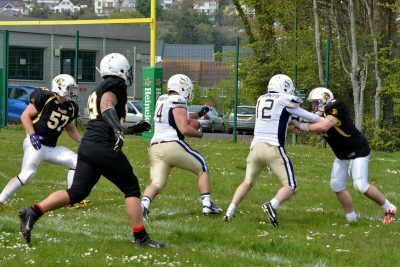 The Saints now have another journey south towards Dorset on 22nd May to play league newcomers, the Jurassic Coast Raptors. 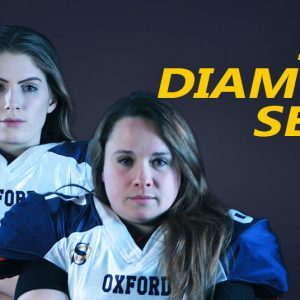 Oxford will be planning to solidify their position by going 4-0 against the Raptors, then all focus will be turned to the highly anticipated fixture against the Swindon Storm on 12th June.